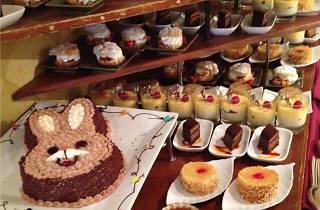 Prepare for a royal feast should you head down to the Grand Café for Easter brunch. Start off with an oyster or two or, if you're patient, the Alaskan King Crab legs are worth the effort. Apart from the customary brunch buffet delights—rosemary-scented bone-in barron of beef, customizable omelets, sticky bun french toast—there will be something for both the young and the old. Adults will enjoy bottomless Bloody Marys and Mimosas, while tikes will delight in a snow cone station and a visit from the Easter bunny who will be delivering treats to guests. 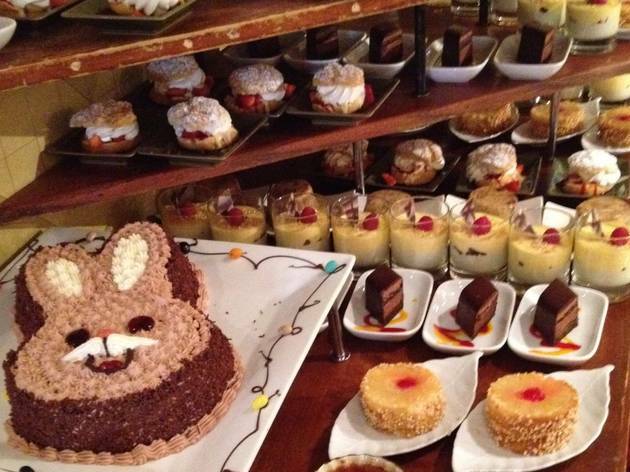 Spare yourself an Easter Sunday headache picking a place for the entire family, bring the gang over to the buffet line and let them choose for themselves.